It’s difficult to vie for a customer’s business if they don’t know who you are. Of course, alerting them to your presence isn’t as easy as riding a bike downhill. When you’re searching for how to increase brand awareness, you’ll likely see that advertising is an option – but it’s not always the best one if budget and ROI are of concern. A better strategy for appealing to the masses as well as your target audience is to use high-quality content to raise the visibility of your brand. By its nature, content marketing boosts brand awareness (i.e., getting lots of people to see your brand). However, there are specific strategies to use when brand awareness is your No. 1 goal. Keep reading for what these strategies are, the real ways they are used, and how you can implement the techniques in your own strategy. When you want your content to reach as many people as possible, your brand awareness strategy should be geared toward mainstream topics that appeal to high-authority news sites with large followings. We’ll use one of our most successful campaigns, Most Instagrammed Locations, as an example to illustrate the five steps of a basic general brand awareness strategy. Choose an idea that has broad appeal. This is a crucial component for upping your content’s viral potential, which is a common goal that coincides with brand awareness. If your company offers a good or service to the general public, then this is an easy feat. But if you sell something that isn’t universal, your content idea should extend further from your offerings. We use this approach often when we’re asked how to drive awareness on a mass scale. Our Instagram study for Busbud is the perfect example. Busbud is an online bus travel service, but if their content stuck to buses only, it wouldn’t appeal to the general population. 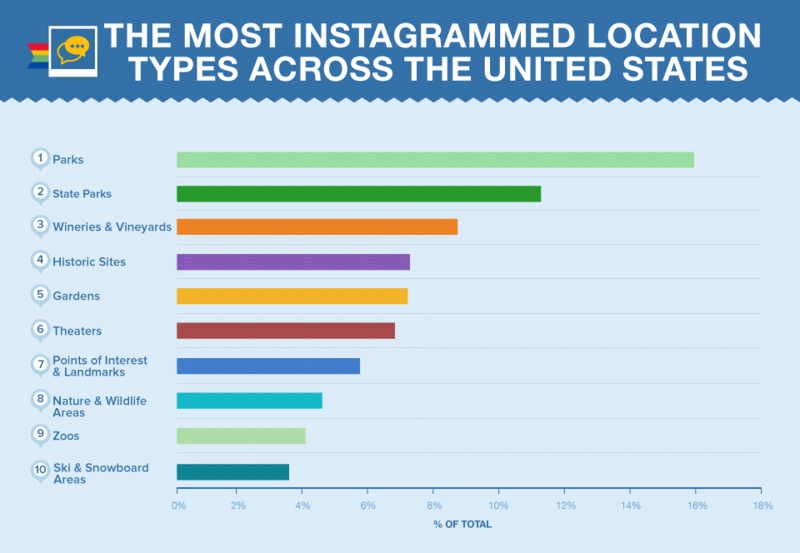 We zoomed out and focused the idea on places throughout the United States and Canada that people took Instagram snaps of the most. We chose Instagram because of its immense popularity (more than 600 million monthly users), and even if audiences didn’t use it themselves, they’d likely heard of it. While the idea doesn’t center specifically on bus travel, it is related to the general travel vertical, and when new audiences were exposed to the content, they were made aware of Busbud as an option for when their next travel plans arose. Why not come up with an engaging idea about bus travel instead? Because when you’re shooting for mass exposure, you want your content to appeal to as many publishers as possible. You certainly wouldn’t find as many top-tier sites seeking stories about buses as you would travel. Do comprehensive research and use credible sources. To make your content newsworthy, the foundation needs to be rock solid. Otherwise, publishers won’t trust your content or want to feature it. It can become highly desirable to some of the biggest publishers because it’s a brand new story – no angle pivot or outside research needed, making the work easier on the writers. It acts as a resource for future related stories, which leads to writers linking back to it continuously over time. 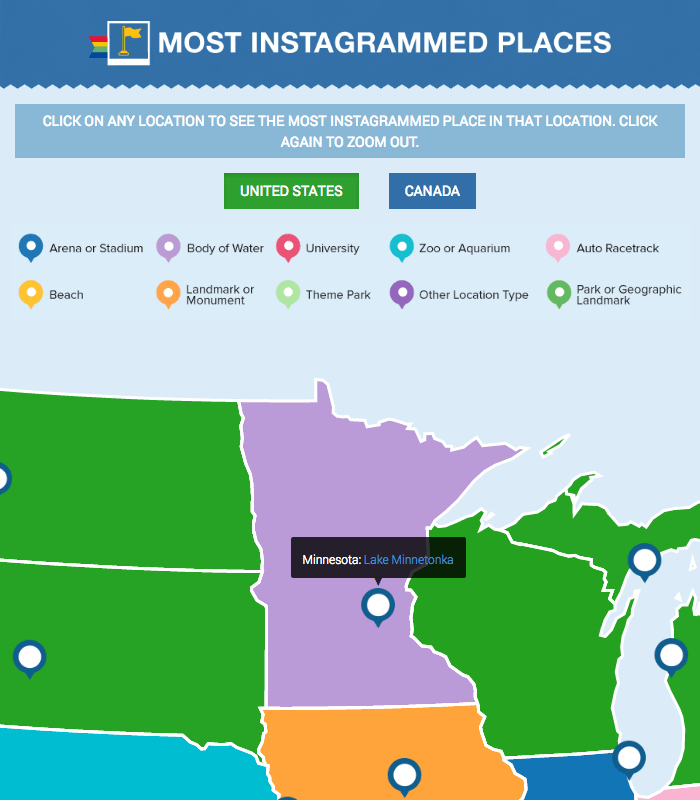 From there, we crunched the numbers and came up with a variety of charts and maps to show the type of locations (e.g., national park, beach, and theater) as well as specific locations (like Disneyland) that were posted the most on Instagram. The campaign didn’t show the tens of thousands of hashtags and locations, but it was important to do the in-depth analysis in order to gather accurate results. There’s no doubt the extra effort gave weight to the project and appealed to journalists’ desire for comprehensive and authoritative reports. Keep the look simple and ensure it’s easy to understand. Sometimes, we want to get fancy and create elaborate designs. Graphic artists want to showcase their skills and design really beautiful stuff. But it’s important to remember that you’re putting together graphics that need to appeal to the general public – not the curators at MoMA. This is a lesson that’s quickly forgotten when you’re pouring all your energy into a piece of content you want to stand out from all the noise of the internet. Our advice is simple: Silence your inner artist and don’t get artsy-fartsy when creating general brand awareness content. Instead, go for clean designs that aren’t distracting and let the data/results/information speak for itself. 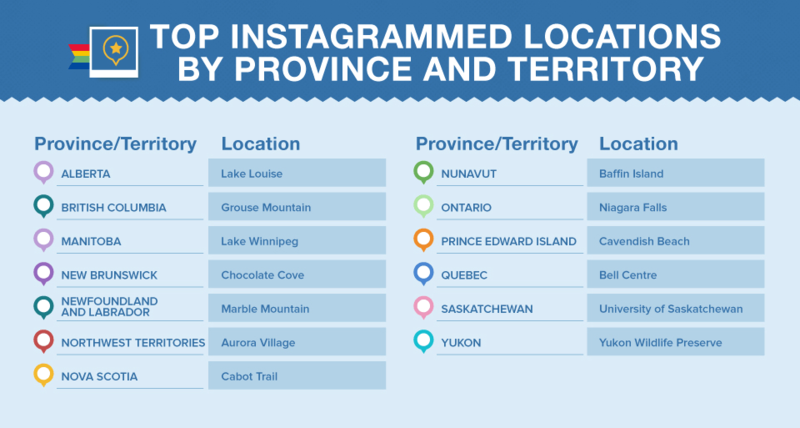 In the chart below, we could’ve included photos or renderings of the top Canadian locations, but they would’ve taken attention away from the basic information – and they simply weren’t needed. PRO TIP: When reviewing your copy, ask yourself if every person in your extended family (barring small children) could easily understand what you wrote. If they can’t, get to revising and simplifying. Your goal with general brand awareness content is to have it spread around, and if it’s hard or impossible for media outlets to feature it, then you’ve defeated the point. Plus, it’s not difficult to make it accessible. The embed codes are especially important to include for interactive components (e.g., sliding images and zoomable maps) because publishers can’t use them otherwise. Since your primary goal is to increase brand awareness – and not build links – allowing other sites to easily grab and host your graphics without needing to reach out to you is crucial. Trust us, the easier you make it for the media to use your content, the greater your chances of having it covered. You also up the likelihood of coverage if you offer the same content packaged in different ways. Doing this expands your content’s reach with publishers who are able to pick and choose the format that works best for their site and audience. But not all publishers’ sites have the technical capabilities to host interactive graphics, so we also made two charts with the same information – one for the U.S. and one for Canada. PRO TIP: When strategizing how to increase brand awareness, don’t forget about making shareable graphics and text for your social media accounts. It can be helpful to make a calendar of when you plan to launch posts on Facebook, Twitter, Instagram, etc. Making high-quality content that is optimized for all the keywords you want might help you with SEO, but it’s not going to do much for broad brand awareness. Content sitting on your site unpromoted is like putting a new cereal brand on the shelves without advertising it. Sure, people may stumble across it, but you’re missing a huge potential audience. Target writers who specifically cover the topic your content focuses on. Look at publishers’ engagement levels when deciding who to pitch your exclusive to. Don’t send outreach emails on holidays (or the day before and after). Keep your subject lines to 10 words or fewer. Successful outreach takes time and dedication. Don’t put it on the backburner and waste the great work you’ve done making your content. After you’ve built relationships with writers and editors, you can conduct media relations outreach more efficiently in the future. When our media relations department began promoting the Most Instagrammed Locations campaign, it quickly garnered interest from TIME, Yahoo, Business Insider, and over 300 other publications. It was also shared close to 37,000 times on social. But what really increased brand awareness for Busbud was the television coverage. Let’s go into that next. Newscasters from across the United States and Canada shared Busbud’s Instagram story with their viewers. (Check out the video compilation here.) What about it piqued the interest of so many news stations? The local angle. We’ve seen a big boost in brand awareness for our clients who choose campaigns that are based on geographical areas (i.e., maps). 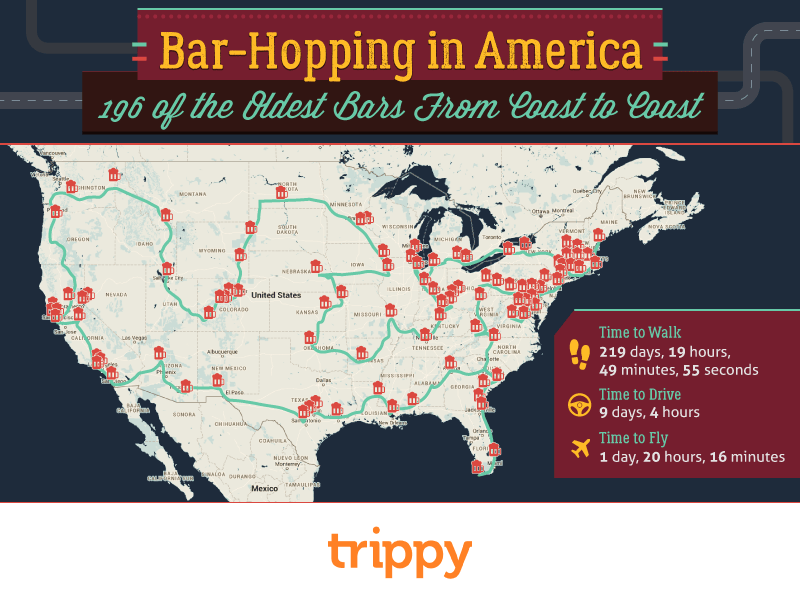 For example, we created Bar-Hopping: The Ultimate Bar Road Trip, which featured 196 of the oldest bars in America. Publishers from coast to coast were able to find their area’s historic bars and share it with their readers in their coverage. This campaign for Trippy included an interactive map (see below) and graphics that ranked the states with the most bars, called out the bars with the latest “last calls,” and named the bars with five-star reviews on TripAdvisor. The diverse components of this campaign gave local publishers several reasons to feature the project, which is a good tactic to use when creating geo-bait content of your own. After discovering how to increase brand awareness with content, you might come across some upsides you didn’t anticipate. For instance, the good press we earned for Busbud made them look good among potential employees. Now that we’ve covered how to increase brand exposure for general audiences, let’s look at gaining visibility in your niche. If your product or service is intended for a select group of people only, make sure a targeted brand awareness approach is part of your overall marketing strategy. For instance, a company that manufactures farming equipment should focus on marketing to farmers and those in the agriculture industry – the only people who would purchase its product. We’ve helped many clients boost their brand recognition with an awareness strategy that’s directed at their target audience. The steps outlined in the section above apply here as well, except you won’t choose an idea that has broad appeal. Instead, you’ll hone in on your niche’s community. You must fully understand your brand’s space to see where the needs are and the topics that industry publications would be interested in. This means researching the online community your audience is a part of and using that insight to guide your ideation (i.e., the process in which you come up with ideas). During this initial phase, we immersed ourselves in the articles that performed best – reading the comments and paying attention to the number of social shares or other engagement signals (e.g., page views). We knew from the beginning the biggest piece of the puzzle would be positioning Alexa as a thought leader in the marketing sphere; the research we conducted helped us choose what topics there was opportunity to demonstrate value with. We wanted to showcase what Alexa’s competitive intelligence tools could accomplish so that readers would look at them as an authority on the topic. We used those tools to examine four pieces of viral content for the campaign Measuring the Effects of Virality, which showed the global rank, reach, and page views for each. Our homework paid off: Both Inc. and HubSpot offered our client guest post slots, which is a great way for marketing gurus to demonstrate their authority. The campaign was featured on 150 other sites as well. The travel industry has a big audience and many top-tier publishers, so getting your travel-related content covered should be easy, right? Think again. The larger an online community is, the more competition there is. We learned that travel enthusiasts enjoyed content that showcased travel destinations as well as topics related to transportation, traveling tips, and surprising facts. Armed with this background information, our ideation sessions revolved around these subject matters. As mentioned in the case study on our engagement with Travelmath, we knew it was important to position the client as an authority in the travel niche. One way to do this is by coming up with a formula for a ranking system. We settled on doing this for U.S. airports. 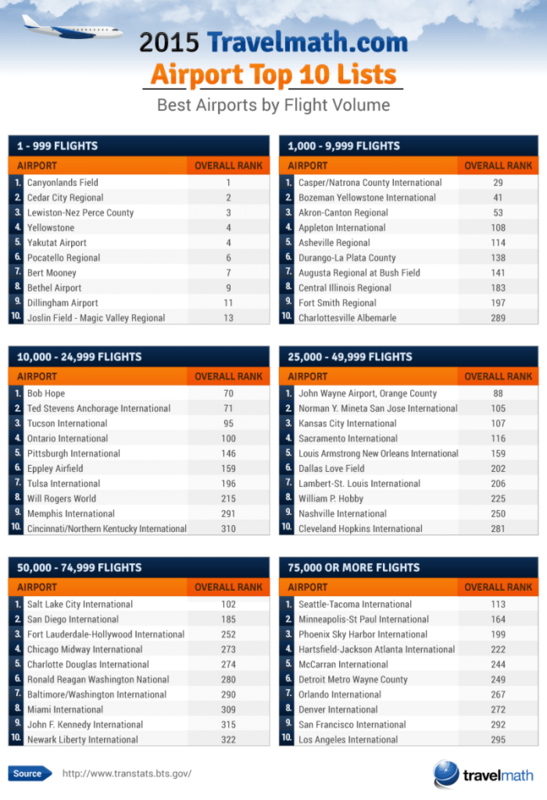 In addition to the overall top lists – which were created with stats on flight delays, lost baggage incidents, and fare prices – we made graphics showing the airports with the longest and shortest U.S. Customs and Border Protection wait times and the airports with the most TSA claims. We also created an interactive content feature that allowed viewers to sort through the airport rankings by the criteria of their choosing. This comprehensive campaign was robust enough to catch the eye of over 300 publishers, including Yahoo! Travel. It was also shared nearly 14,000 times on various social networks. While we came across plenty of lighthearted and fun pieces of content that performed well, we needed to tie in trustworthiness to the campaigns to have DrEd recognized for its integrity and clout. Brands can say they conducted a survey, but this was proof of ours. This type of method helps build trust in your brand among publications and readers. The brand awareness strategy paid off, with top-tier sites such as Maxim and The Independent featuring the campaign. By using this tone in the text, we showed that DrEd was respectful of the opinions and sexual preferences and habits of all consumers. This piece of content helped advocate the brand as trustworthy and a place readers could turn to for health issues or concerns. Now, we’ll cover one more client who sought brand awareness in their industry niche: sports. Tasked with creating shareable content for its blog and raising brand awareness, our in-office sports enthusiasts were pumped to tackle our engagement with Fanatics – a market leader for licensed sports merchandise and gear. Given our team members working on the account were already a part of the sports community, we kept in mind that the brand was “all about the fans” – and our research and ideation honed in on that. For the full-scale NBA Playoffs on Twitter campaign, we tracked the number of tweets that mentioned teams and select players as well as tweets that came from the teams themselves. From there, we calculated fan engagement and presented a live ranking of the NBA playoffs on Twitter. Our case study on Fanatics discusses some of the evergreen blog content and other content marketing campaigns we created for the brand. All in all, six months of work resulted in a 1,100% increase in organic traffic for the site. What type of results could you expect from a target brand awareness approach? Fractl’s Kerry Jones offered insights on how it affects lead generation: “As a B2B brand, the obvious benefit we’ve seen at Fractl from increased brand awareness is a significant uptick in our inbound lead volume. While many marketers use content for SEO and link-building purposes, building brand awareness is also a direct result of content marketing. Depending on your specific goals, though, the strategies we explained above are more likely to boost your brand’s exposure to either a mass audience or a more targeted niche. Remember, if you’re unsure of your brand’s visibility, our Brand Real Estate tool can help you determine how much your brand is out there.